The forest has been uprooted. The trees of the sea lie along the tide line. A sprawling mass of glossy green brown, fronds spread out, intertwined. Kelp, wrack, furbelows. 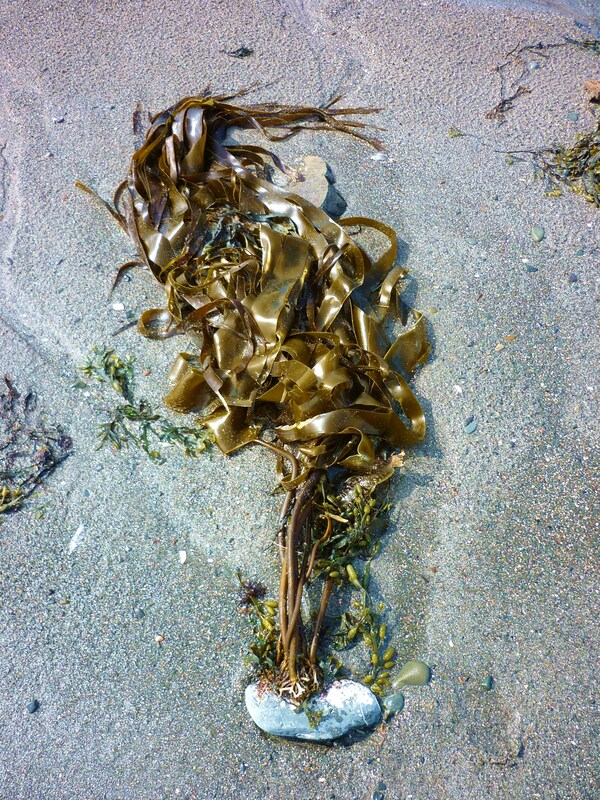 A solitary kelp languishes halfway up the beach. Clinging firmly on to the rock, it lies hopefully. Waiting for the next tide to sweep it away and replant it.